BOSTON — Temperatures were near freezing. Wind gusts blew at upward of 30 mph. Two inches of rain fell Monday in Boston. And Brooke Adams had the time of her life. Running her fourth Boston Marathon, Adams finished in 3:15:07 — good for 483rd among women — with a pace of 7 minutes, 27 seconds per mile. The Southwestern assistant principal and Randolph native placed 438th among women ages 18-39 and 4,284th overall. After completing her world major marathon circuit less than two months ago with the Tokyo Marathon on Feb. 25, Adams she wouldn’t approach her personal-best time Monday. Mother Nature made sure of that for nearly all of the competitors in the race. “By far. Absolutely, this was the worst,” Adams said of the conditions. “They were calling it the terrible trifecta. 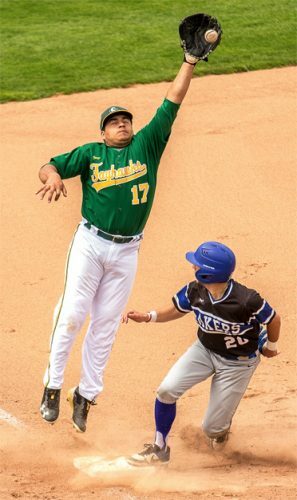 The cold temperatures — before we started it felt below freezing — the gusts of wind were up to 30 mph and the rain … 2 inches fell during the race. 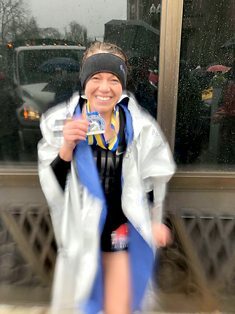 Randolph teacher Melissa Rublee-Shawley completed her first Boston Marathon in 3:34:35 — good for 2,451st among women — with a pace of 8:11 per mile. Rublee-Shawley was 1,982nd among women ages 18-39 and 9,247th overall. Randolph native Lauren Carnahan, who works for the state Education Department in Albany, finished in 3:42:51 — good for 3,651st among women — with a pace of 8:30 per mile. Carnahan was 2,679th among women ages 18-39 and 11,485th overall. Jamestown native Barb Crowley — who late last week told The Post-Journal she was running the race in memory of her good friend Rosie Billquist, who died tragically in Sherman late last year — finished in 4:51:31, which was good for 9,763rd among women. Crowley was 244th among women ages 60-64 and was 22,318th overall with a pace of 11:07 per mile. Jennifer Donato of Fredonia finished in 5:02:28 — good for 10,149th among women — with a pace of 11:33 per mile. Donato’s time was good for 1,581st among women ages 40-44 and 23,093rd overall. Adams said she had run during a snowstorm in Syracuse and another rainy Boston Marathon, but nothing like Monday. 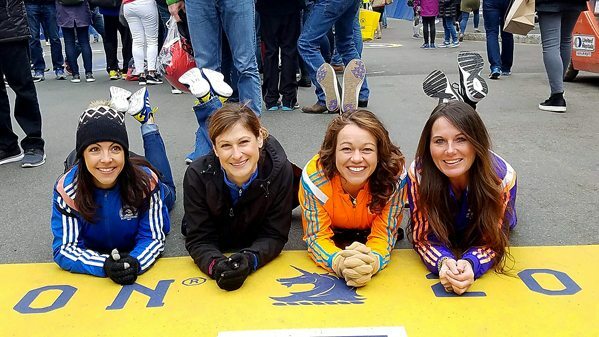 “This was by far the worst marathon weather,” Adams said. 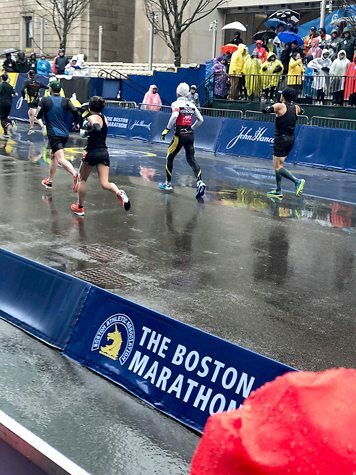 And while the weather forced some of the most dedicated marathon runners to drop out or end the race early, Adams was surprised the crowd remained enthusiastic.